Radio Frequency (RF) design techniques and applications have greatly expanded over the past decade. 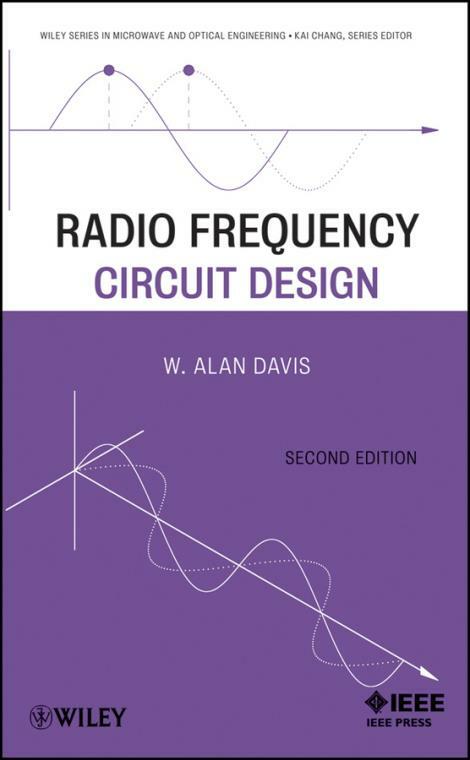 This Second Edition of Radio Frequency Circuit Design has been thoroughly updated to cover the latest developments in RF communications, giving practicing engineers and students authoritative guidance in contemporary design and analysis of RF circuit components. This new edition features clear, step–by–step demonstrations of new design techniques for RF circuits, including phase locked loops, filters, transformers, amplifiers, mixers, and oscillators. It offers a better understanding of RF power amplifiers and expands upon class D and E power amplifier treatment. Also increased coverage is given to oscillator phase noise and impedance matching. The book includes real–life examples illustrating the role of the described techniques in the overall design of various RF communication systems; additional features include solenoid design and double–tuned matching circuit examples, transistor and amplifier formulas, transformed frequency domain measurements, and analytical spiral inductor model references. To aid in the learning process, problems are included at the end of each chapter. In addition, source code for the programs illustrated throughout the book is available online, making the programs even more valuable to the working engineer in need of a quick solution and to the student looking to understand some of the details in a computation. Also included are summary tables, graphs, equations, and SPICE examples. Covering both the timeless principles of receiver and transmitter circuit design and the latest technological applications in RF communications, Radio Frequency Circuit Design, Second Edition is designed as a primary text for graduate students in a RF circuits course, as well as a field reference for professional engineers. 1.4 Basic Transmitter?Receiver Confi guration. 2 Resistors, Capacitors, and Inductors. 3.5 L Circuit Impedance Matching. 4 Multiport Circuit Parameters and Transmission Lines. 4.7 Transmission Line Stub Transformer. 4.8 Commonly Used Transmission Lines. 5 Filter Design and Approximation. 5.2 Ideal and Approximate Filter Types. 5.3 Transfer Function and Basic Filter Concepts. 5.6 Matching Between Unequal Resistance Levels. 6.2 Ideal Transmission Line Transformers. 6.3 Transmission Line Transformer Synthesis. 6.4 Electrically Long Transmission Line Transformers. 7 Noise in RF Amplifiers. 7.8 Two–Port Noise Factor Derivation. 7.9 Fukui Noise Model for Transistors. 8.2 Defi nitions of Gain. 8.3 Transducer Power Gain of a Two–Port Network. 8.4 Power Gain Using S Parameters. 8.5 Simultaneous Match for Maximum Power Gain. 8.7 Class A Power Amplifiers. 8.8 Power Combining of Power Amplifiers. 8.9 Properties of Cascaded Amplifiers. 8.10 Amplifier Design for Optimum Gain and Noise. 9.4 Class C Input Bias Voltage. 9.5 Class D Power Amplifier. 9.6 Class E Power Amplifier. 9.7 Class F Power Amplifier. 10 Oscillators and Harmonic Generators. 10.3 Two–Port Oscillators with External Feedback. 10.5 Minimum Requirements of the Reflection Coefficient. 10.6 Common Gate (Base) Oscillators. 10.7 Stability of an Oscillator. 11.2 Figures of Merit for Mixers. 11.8 Single–Sideband Noise Factor and Noise Temperature. 12.6 Linear Analysis of the PLL. 12.7 Locking a Phase–Lock Loop. 12.9 Negative Feedback in a PLL. Appendix A Example of a Solenoid Design. Appendix B Analytical Spiral Inductor Model. Appendix C Double–Tuned Matching Circuit Example. Appendix D Two–Port Parameter Conversion. Appendix E Termination of a Transistor Port with a Load. Appendix F Transistor and Amplifier Formulas. Appendix G Transformed Frequency–Domain Measurements Using SPICE. Appendix H Single–Tone Intermodulation Distortion Suppression for Double–Balanced Mixers.